After not faring well in the DARPA Robotics Challenge, NASA is hoping its Valkyrie humanoid robot will do much better working on Mars. The space agency has given two robotic prototypes to scientists at MIT and Northeastern University to build software and put together hardware adjustments that will make the robots autonomous and dexterous enough to aid human astronauts or even take their place on "extreme space" missions. "Advances in robotics, including human-robotic collaboration, are critical to developing the capabilities required for our journey to Mars," said Steve Jurczyk, associate administrator for NASA's Space Technology Mission Directorate. "We are excited to engage these university research groups to help NASA with this next big step in robotics technology development." The robots are expected to launch into space to work on asteroids or Mars as precursors to human missions, setting up habitats, producing drinkable water and fuel to get the astronauts back home again. NASA also expects to use robots as human assistants, collaborating on projects, using tools and taking over more dangerous projects. Many of the robots did well, walking over rubble, driving and getting out of a car and drilling holes in walls. Others, like NASA's Valkyrie, didn't do nearly as well. They were unable to climb stairs and ladders and took several minutes to take one step. Some simply fell over. The Valkyrie didn't make it to the final round of competition. DARPA and robotics scientists said there is still work to be done, but they have made great headway into building autonomous robots that can perform basic tasks on their own. 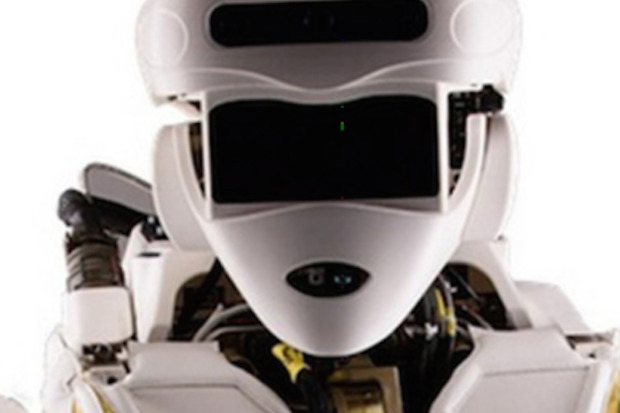 In five or 10 years, they expect robots to be ready to help in disaster situations. Of the teams that competed in the DARPA challenge, NASA chose MIT, whose team placed sixth in the competition, to work on the robotic space project. Northeastern didn't compete, but its robotics group is now headed by Taskin Padir, who led the seventh-place team from Worcester Polytechnic Institute during the DARPA competition. Both MIT and Northeastern will receive up to $250,000 a year for two years and will have access to onsite and virtual technical support from NASA. Both university teams will also participate in its upcoming Space Robotics Challenge. This new competition, while creating opportunities to benefit the robotics industry as a whole, will focus on creating the robotics technology needed to launch Mars missions. At this point, with MIT and Northeastern involved, NASA is focused on upgrading the robot. In 2016, the competition will move on to a competition among teams that have built software for a simulated robotic situation. After that, there will be a physical competition.